Three years ago when James Dyson owner of OptimizePress started building OptimizePress. That particular time his aim was simple, to create an easy and quick way for internet marketers, entrepreneurs, online marketers, product developers and small business owners who wants to create a killer landing pages and membership areas quickly by using the power of WordPress. Now it’s 2014 in these meantime, with the power of OptimizePress 1.x they helped tens of thousands people to grow their business in a huge diverse range of markets, get their products & services online, or deliver their digital content and training in an online membership site. After very long time they have come with an update of OptimizePress. The very latest version has been completely rebuilt from the ground up to incorporate the latest in web technologies and standards including responsive mobile ready design, CSS3 and HTML5. They have also completely re-engineered the way you create pages with the platform with new revolutionary LiveEditor system. New system gives more power, flexibility and ease of use when creating pages and websites. In this post I’ll throw some light on OptimizePress v2.0. Optimizepress’s gonna help you create pain free marketing pages within next ten to fifteen minutes. With its break through drag and drop visual editor that james have been perfecting over last couple of years; you can built high converting squeeze pages, sales pages, one time offer pages, product launch pages, thank you pages and more in just seconds. So in just one clicks you can add pictures, videos, email optins, grantee boxes, testimonial boxes, buttons and more and publish them live for world to see in just one click. So in a nutshell you can literally launch your next business online within next tent to fifteen minuets with it. In brief what is OptimizePress(for newbie) ? If you are someone who is interested building a wordpress site or may be you are thinking about marketing your product online, building a membership site or even if you have even followed some of the training from some of the serious internet marketing experts like Jeff Walker or Eben Pagan, possibly you have heard of the OptimizePress. OptimizePress is a wordpress theme (has a plugin version as well included in 2.0 version); it’s a design layout; a theme that plugs into wordpress and it delivers you the look and feel of your site and it’s already made. 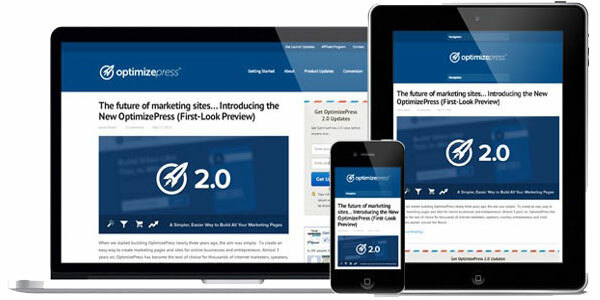 The good thing about using OptimizePress is that it has a wide variety of components and features that you would normally have to purchase separately to have this sort of features or you would have to hire someone to do the special programming to get these features; OptimizePress has pretty much everything built in. Choose the number of columns you want to use (1-6 columns). Add rows with different color backgrounds or even background images. Use its Element Browser to add a huge range of elements to your page (see below). Drag and Drop Elements to different columns – rearrange your elements to fit your design. Add custom code around elements – need to add some custom shortcode from a membership script to hide an element, use OptimizePress advanced options feature available for every element you insert. Drag and drop rows – move rows up and down your pages to re-arrange your content. Typography (fonts) can be changed – choose from many Google fonts and change the font size, style and color of almost any text. Feature Boxes – add features to your page and illustrate them with icons from their huge selection. Delay Content – any element on your page to appear after the time you choose. Navigation – now you can drop in navigation sidebars anywhere on your page and pull menus straight from WordPress. Bullet Blocks – add styled bullet lists and choose from a huge range of icons for your bullets. Headlines Style – Select from many different headline styles including underlines and shaded backgrounds. Audio and Video players – insert your own audio or video or use video from Youtube or elsewhere. Buttons – choose from their pre-designed buttons or use their custom button creator to create unique CSS buttons. Opt-in Boxes – add opt-in boxes anywhere on your page and choose from many custom designs. Powerful Membership Templating System – means you can easily organise your content into products or memberships with categories, subcategories and lesson pages. Membership Security Built-in – Use their included Membership plugin that works exclusively with OptimizePress to secure your posts, pages and content including secure file downloads. Integrate with most major platforms including Paypal, Clickbank, Authorize.net and Infusionsoft to take payments and deliver your members to a secure members area. Create completely custom Members areas with their membership elements including page listings (list pages from any membership product or category including thumbnails and descriptions of your content). Create custom membership sidebars for ANY page so each page of your membership can be different if you wish. Send your opt-ins straight to GotoWebinar to register them for a webinar, and also add them to an autoresponder list (at the same time!). Use their Preset and Clone features to duplicate your pages on your site so you can design once and reuse that design to keep your pages looking consistent. Now you no-longer have to be stuck with the same navigation bar across your pages. Each page you create with our Live-Editor System can have individual menus – just create them inside the WordPress menus system and then pick them on each page you create. I guess this is the most amazing and innovative idea they have came with! That’s Marketplace. With the very latest OptimizePress version they have announce their marketplace and template export feature for OptimizePress 2.0. Now you can export your pages as templates and share them on OptimizePress Marketplace for other OptimizePress users to download and use. or even you can make money from selling your templates! In order to get marketplace access you must have to be club member. They kept the pricing simple for the OptimizePress 2.0. They have 3 packages offered on the front end (these will most likely be offered in a pricing table format) and then one Upsell to their OptimizePress Club membership (completely optional not forced continuity). This is their core package, which will include a 3-site license. This is their “Publisher” package, which will include a 10-site license. This is their premium package, which will include an unlimited site license. The OptimizePress Club Membership will give exclusive access to the latest templates and designs as they release them. These will be additional designs that will not be included in the core OptimizePress platform. Club members will also get access to the latest plugins and add-ons that they develop for OptimizePress first, so they can stay on the cutting edge of site building for online marketers. New Templates Every Month: Get access to their latest designs and exclusive templates inside the OptimizePress ClubHouse. Exclusive Members Only Resources: Download background textures, graphics and other elements you can use to enhance your pages from our private resources library. These can help you boost conversions and gain a competitive edge over your market. Advanced Training & Tutorials: This is the place to learn the latest techniques for building effective marketing pages and membership sites for your business, including fully step-by-step training by James and the team. Customizations Library: If you want to tweak your site and add additional styling beyond the OptimizePress options you’d usually have to hire a coder. Well now you can use their pre-made custom snippets to tweak your pages in seconds. So OptimizePress Theme or Plugin? As far as I know (I might be wrong!) no other membership platform offer membership plugin and theme versions at a time except optimizepress! This is the beauty of OP2! It depends upon on you aspect which is best for you and you know it which suits you best. 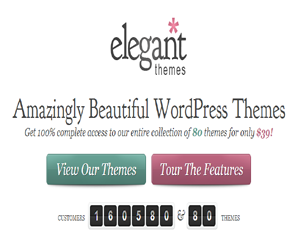 Though there’s no major difference between theme and plugin version. Op Theme can do pretty much everything that Op Plugin does. Juts plugin doesn’t have the blogging platform.